Absolutely. And before you ladies get too upset, I’m talking about cheating on my diet, not my wife! 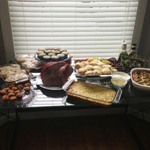 Yesterday was Easter Sunday, and my wife put together a delicious meal for us and a few friends. 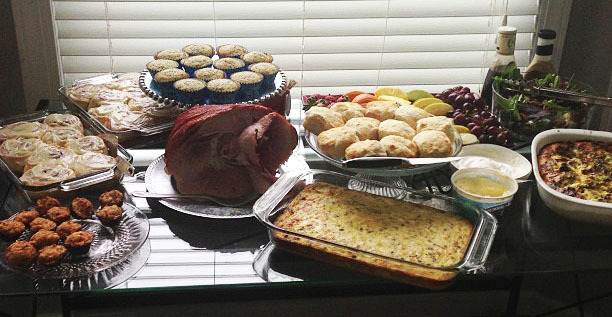 Ham, buttermilk biscuits, sausage cheese balls, hash browns, homemade cinnamon rolls, two different egg dishes (one with cheese and turkey sausage, one with veggies and bacon), lemon poppyseed muffins and fruit. 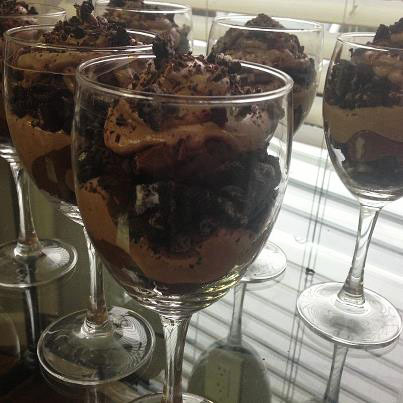 After that we topped it off with a layered parfait dessert. Coffee and/or mimosas were the drinks of choice. Did I eat too much? Oh yeah. Did I stray out of my diet? Nope. You see, a proper healthy diet INCLUDES cheat days. That’s right. I didn’t say “tolerates cheat days” or “can handle cheat days.” No, a proper diet includes them. The trick is to only do them on cheat days, general rule of thumb being no more than once a week. 1. Cheat days help to keep you from feeling deprived of the unhealthy things that you love. If you get to indulge in your “guilty pleasures” every now and then, then you don’t give in to your cravings when you aren’t supposed to. It also gives you something to look forward to. 2. Cheat days dramatically spike your calorie intake. This will increase your fat loss by ensuring that your metabolic rate doesn’t down regulate from extended calorie restriction. Now this isn’t applicable to all situations (such as a pre-contest diet, etc. ), and realistically you don’t want to completely blow it out of the water (save those times for Thanksgiving and Christmas) but the principles are sound. So go ahead – Cheat! 5 Comments to "Are you a Cheater?" I love cheat days! I followed the slow-carb diet a few years ago and the weight not only melted off, I felt like I wasn’t missing out on anything. My cheat day was every Saturday and I would allow myself to have a small child-size pudding cup each night if I needed it. I lost like 13 pounds in 3 weeks. It is amazing what a little cheating can do! Frankly, I don’t really cheat in my diet but after reading some of the effects of cheating, I think I should now. Who would have thought that it’s actually helpful. The very word of it made me want to avoid it but it never occurred to me about the other benefits that you mentioned here. Thanks! Now I’m gonna set my own cheat day. Why am I not doing this!? All this time it can actually help us with our diet then huh? This is a real surprise for me because I follow my diet strictly. From now on I’m going to cheat sometimes too in hopes of losing more calories in the process. I really appreciate you sharing this here. Thanks. I love these days. It’s like giving myself special freedom and treating myself for an special occasion. Indeed, cheat days is important for people who are on diet. It gives some motivation to pursue with the diet plan.